All We Can volunteer, Josephine Cali, created this image to express the work of All We Can with a special focus on the impact of Extraordinary Gifts bought by supporters. 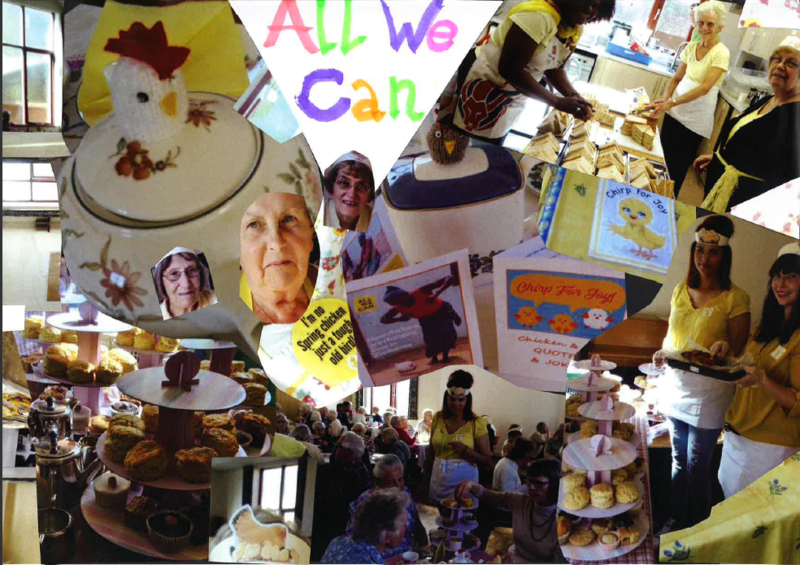 All We Can believe that when we all work together change is possible – we believe Jo’s creation sums up this spirit of collaboration very well! In 2017-18, volunteers like Josephine gave over 6000 hours of their time to support the work of All We Can. This image was created by Shahed, a Syrian refugee living in Irbid in Jordan. 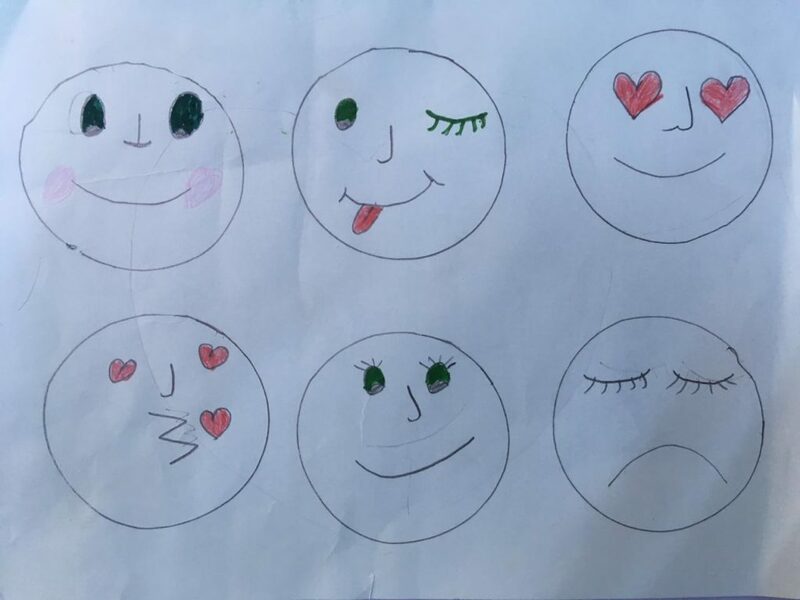 She drew the different faces to express how she is now able to share different emotions with those around her because of the psychosocial care she has received through a children’s club funded by All We Can in 2017-18. All We Can is committed to supporting families in crisis as a result of displacement. In 2017-18 All We Can supported displaced people in Bangladesh, Jordan, Syria and Lebanon. “Through All We Can’s long-term support, elderly people in North West Cameroon, have been empowered and feel more included and cared for by the community, through active club membership, regular home-visits by volunteers, inter-generational learning and sharing with local school children, and integration with their families. Elderly people are now actively participating in the formulation and implementation of policies that directly affect their rights.” – Francis N. Njuakom, Director of CDVTA Cameroon. 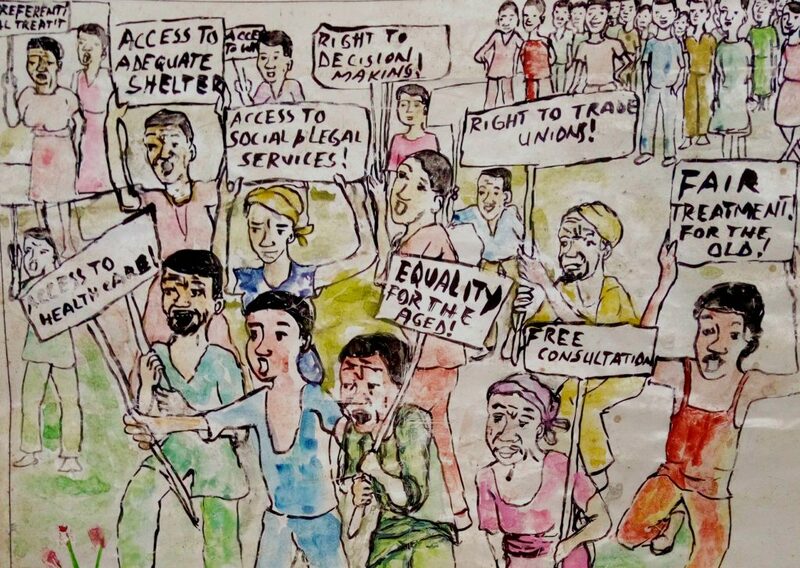 This powerful image showing older people gathering together to march for their rights was drawn by staff of All We Can’s local partner organisation CDVTA. With thanks to Dwight Atanga and Kukwah Conscience. 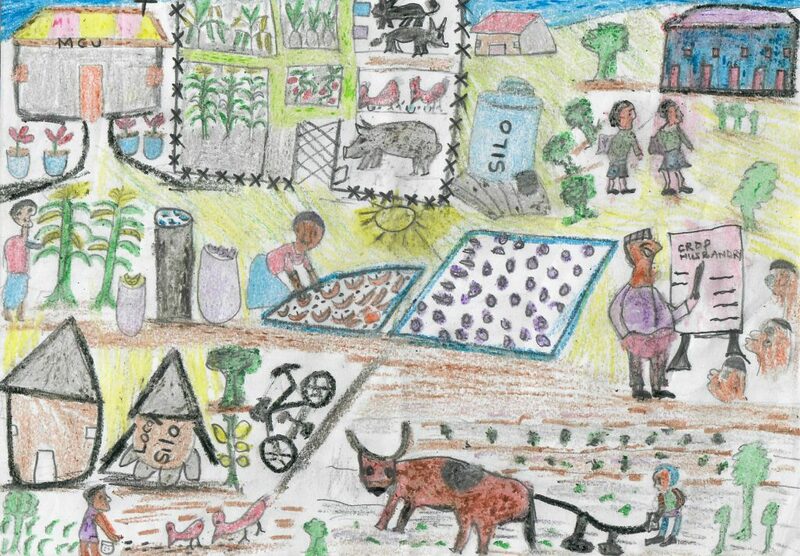 In India, All We Can continued supporting work with marginalised and vulnerable groups. 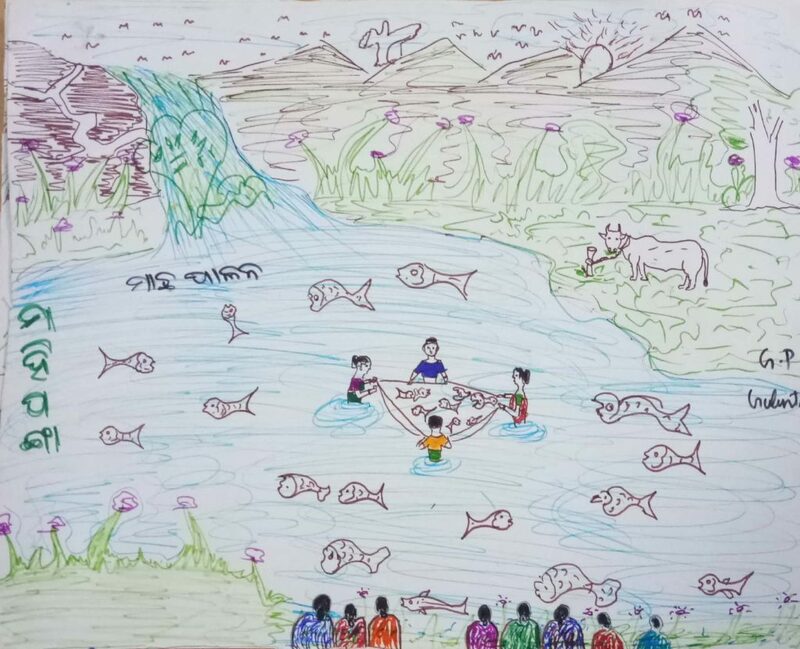 A women’s self-help group in Odisha, India created this image showing some of the training they had received in fish-farming. The women in the group have received different types of training enabling them to earn a living for their families and form new friendships within their community. In 2017-18, with All We Can’s support, 655,623 lives were transformed around the world. 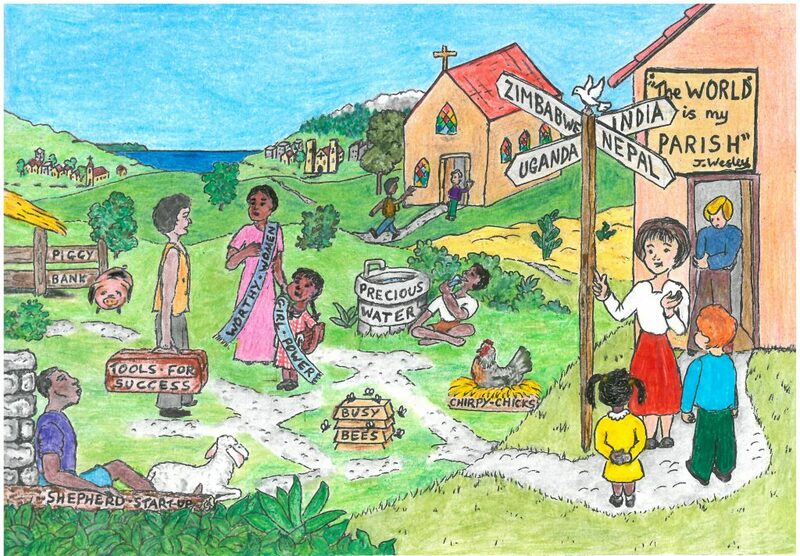 Charles Kigoire from Kamuli District in Uganda created this picture to show the work of the Methodist Church in Uganda with All We Can. 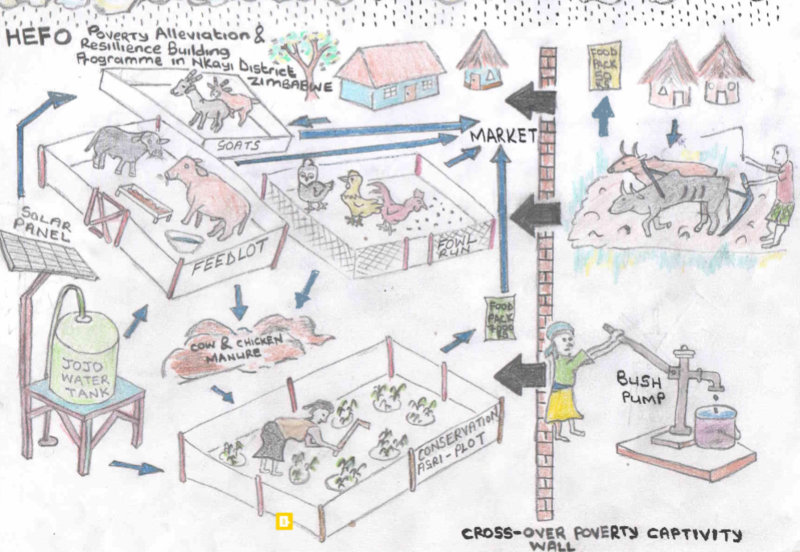 Charles received support as a farmer, he also received training in how to run a piggery. The image shows all the different ways the church is working to support people like Charles in his community, In 2017-18 All We Can worked with national churches through its Church CAN programme in Sierra Leone, Uganda, Zimbabwe and Cameroon. Wantage Methodist Church created a collage to show some of the activities they ran as they ‘Chirped for joy’ with All We Can during Harvest 2017 celebrations. In 2017-18, 77 communities like Wantage Methodist Church became All We Can Partner Churches or Schools – Thank you! All We Can has started working with a number of new community-based organisations. HEFO in Zimbabwe is one of them. Here, HEFO volunteer , Nkosinathi Thamu Chinhara, has created a diagram to show the different impacts the work of HEFO has in the community. All We Can seeks to continue to work with more organisations that are serving some of the poorest communities in the world.